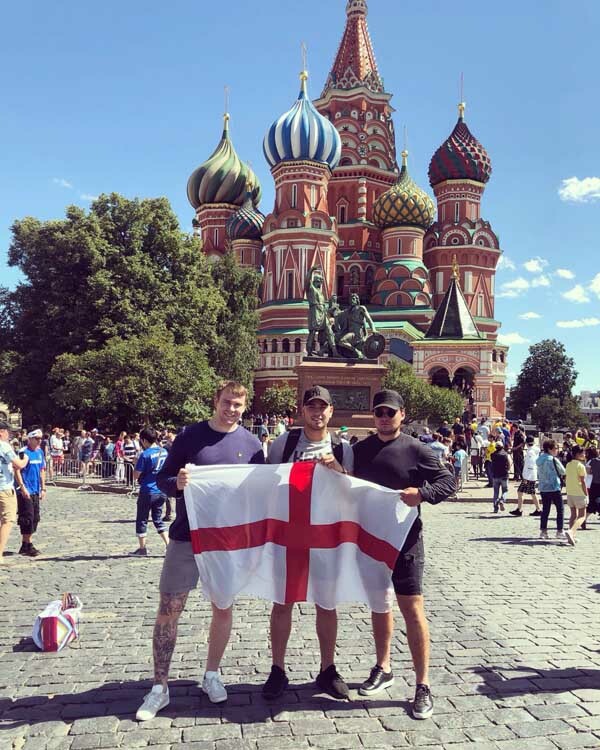 Grandson (middle) in Moscow for tonights game. Some people thing the cup is coming home. Maybe!! Happy chappies tonight. They were behind the goal in amongst the Russian fans and he reckon they were as happy as he was. Nice touch was that the stadium played Footballs Coming Home as each one went in. Maybe it is this time. when England scored the winning penalty. Nice touch. 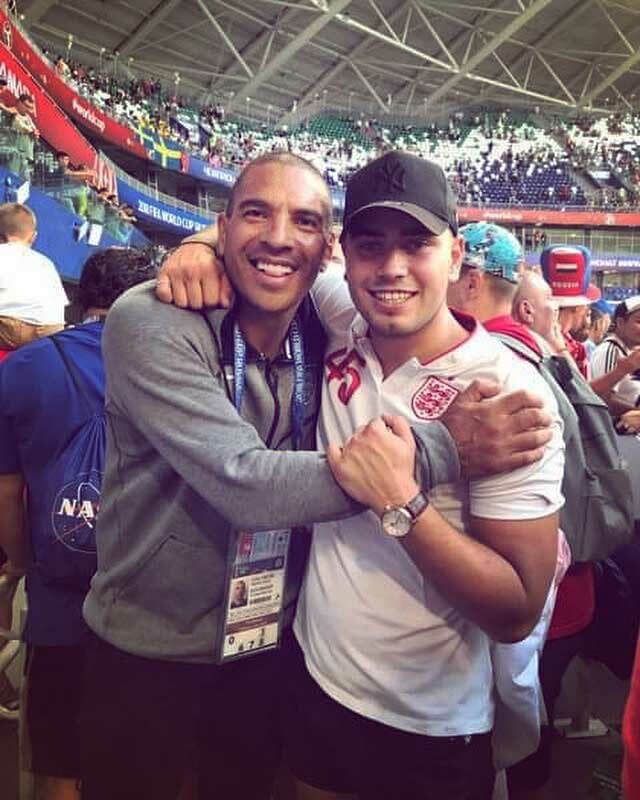 Grandson Brad and Stan Colymore after an interview at the England game for Sky Sports.